What is a FOCCUS Facilitator? 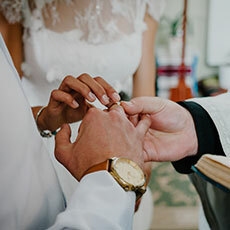 FOCCUS Facilitators meet privately with engaged couples several times prior to their marriage to help them celebrate their relationship strengths and communicate positively with each other about important issues they may not have thoroughly addressed. The Facilitator utilizes the couple's unique FOCCUS Couple Report along with knowledge from the Facilitator Manual to help guide the couple's discussion. What is a FOCCUS Trainer? FOCCUS Trainers are experienced FOCCUS Facilitators who become certified to teach others to be FOCCUS Facilitators and to use the FOCCUS Pre-Marriage Inventory with couples. If you are a seasoned FOCCUS Facilitator who has helped at least 10 couples with marriage preparation, we invite you to attend a FOCCUS Trainer Training Workshop, provided by an International FOCCUS Inc. USA Trainer to become a certified FOCCUS Trainer. Once certified, a FOCCUS Trainer can provide on-location training courses to train and certify new FOCCUS Facilitators. FOCCUS will work with you or your organization to bring an International FOCCUS Trainer to your location. The Trainer will certify new FOCCUS Facilitators and/or present Trainer training for experienced FOCCUS Facilitators who wish to apply for Trainer Certification. Training includes all training materials, facilitation practice, and in-depth discussion of any questions you or your trainees may have about the FOCCUS process.